Very often, people seeking help want to ask questions BEFORE they make a decision about their treatment choice. We understand that you might want to meet your health care professional BEFORE you start treatment. 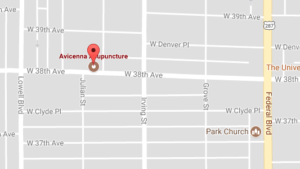 Avicenna Acupuncture offers a free 15 minute consultation. You will have the opportunity to meet us, ask questions and voice possible concerns. Fill out the form below, and we will contact you to schedule your consultation.